FOOTBALL BETTING TIPS: Manchester United will seek to maintain their impressive 12-point lead on top of the Premier League table when they face relegation candidates Queens Park Rangers in their next league match. Queens Park Rangers are in a dire position to advance from their rock-bottom position in the Premier League. They have not won in any of their last five league games, with the heaviest coming from a 4-1 thrashing by Swansea, alongside four previous draws. In a bid to escape relegation, QPR spent heavily on players during the winter transfer window. The entry of striker Loic Remy have not yet followed up any strong impacts, as he immediately sustained a groin injury. Expensive defender Christopher Samba has yet to settle with the side. Manchester United are in a convenient position to gain the Premier League title back from closest rivals and champions Manchester City. They do not have any impending injury problems, although they will most likely preserve particular players in view of their Champions League run. 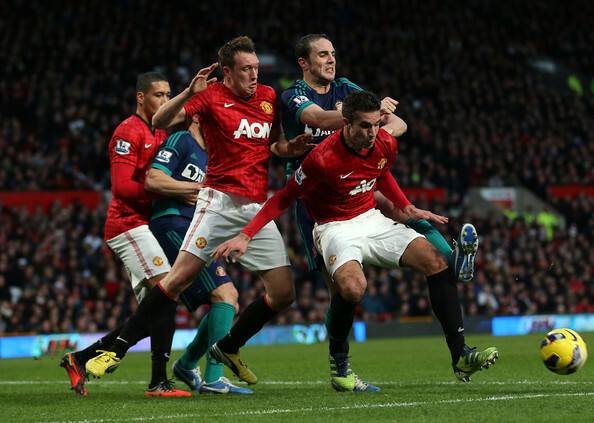 Robin van Persie continues to be in excellent form, while Wayne Rooney is regaining his goal scoring potency. Defensive problems have not afflicted the side lately, as they only conceded three goals in five lossless games. Football betting name 12BET.com, known in Malaysia and around the world, picks Manchester United as favourites at 2.140. United punters have to hope that their side wins by two goals to overcome Queens Park Rangers’ handicap of 1-1.5 (1.25) (0-2 to 1.25-2 for Manchester United).